Celebrating 13 years in its new facility, The Health Care Center on Golden Rain Road (formerly known as Leisure World Health Care Center) is continuing its tradition of exceptional service and attentive care for all members of the Leisure World community. The center features a group of six independent, board-certified physicians and geriatricians who work closely with a number of medical professionals including a geriatric nurse practitioner and a licensed clinical social worker. Dedicating their practices to current and former residents of Leisure World, these physicians and their associates are committed to providing their patients with high-quality health care, with an abiding concern for their unique needs, dignity and their independence. 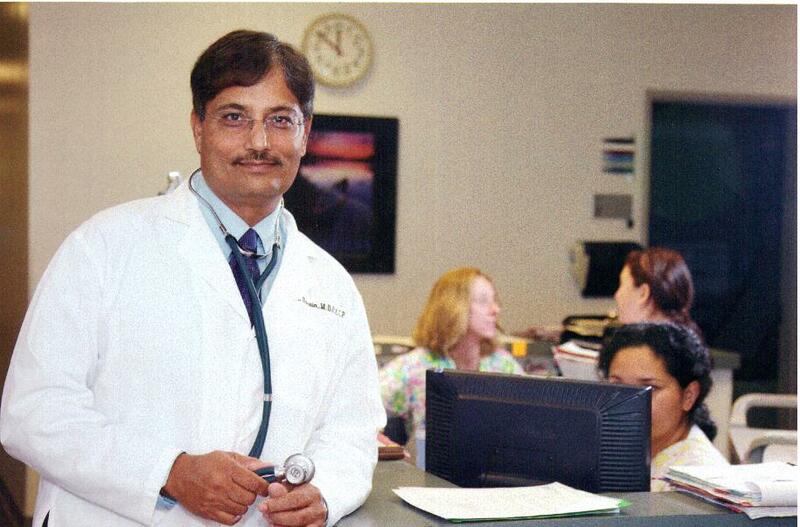 Prakash Narain, M.D., FACP, has practiced at The Health Care Center for over 20 years. He is well versed in the needs of his unique patient popula­tion. "Our patients are active, and they treasure their independence," he observes. "That becomes an important philosophy to the physi­cians at the center, and it drives the way that we approach our level of care." In addition to their medical board certifications, all of the doctors at The Health Care Center have extensive experience and/or certification in geriatric medicine, reflecting their commitment to serving the special needs of their patients. "We care for our patients for life," explains Dr. Narain, who notes that the physicians at the center will follow their patients to hospice or other care facilities when necessary, and make home visits for individuals dealing with terminal illnesses. Fortunately, though, "Our patients are happily remaining at home well into advanced ages," he states. 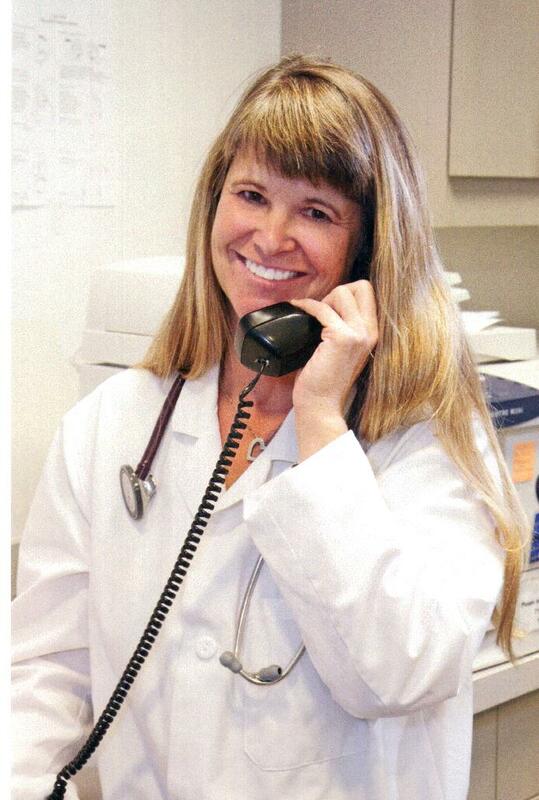 Nancy Ann Smith, M.D., J.D., has been affiliated with The Health Care Center since 2001. She cites the group's low turnover as a benefit to patients as well as physicians. "Many of the individuals we treat have complex health issues," she offers. "At The Health Care Center, physi­cians and staff work together and get to know our own patients as well as those of our colleagues. This improves the overall care for everyone, and allows us to feel comfortable knowing that our patients are always receiving the attentive services they want and need." Terri Furlow, the center's Administrator, agrees. "Our recep­tion personnel have gotten to know our patients, and typically greet people by name when they walk to the front desk. Our nurses know them, as well. Personal relationships like this in­spire a sense of confidence, and make our center that much more special. Our doctors and staff are here because they really enjoy working with our patient population; we are all inspired by their stories and accomplishments!" The primary care physicians at The Health Care Center are a culturally diverse group, with individuals fluent in Spanish, Russian, German and Vietnamese. This, says Dr. Narain, helps to bridge a gap between residents who may not be proficient in English. "We understand the nuances in culture, as well, which may help to in­crease a patient's level of comfort during exams and communication with physicians," he states. Complementing the services provided by the physicians at The Health Care Center is a group of medical and menta l health professionals who are dedicated to im­proving the quality of life for patients and residents of Leisure World. In addition to the center's nurse practitioner is a licensed social worker and physical therapists who collaborate with primary care physicians to provide collective and comprehensive care for patients. The Health Care Center features an on-site laboratory, a radiology department and an ophthalmology /optom­etry department in addition to the physical therapy department.A number of specialty physician groups keep office hours within the facility, as well. Says Dr. Narain, "We are fortunate to offer our patients the convenience of on-site appointments for many of their medical needs, including neurology, oncol­ogy, cardiology, podiatry, orthopedics, urology, psychiatry, dermatology, gastroenterology, gynecology and surgery." A 24-hour on-call registered nurse is also available to all Leisure World residents, offering free telephone advice and home visits for a nominal fee. 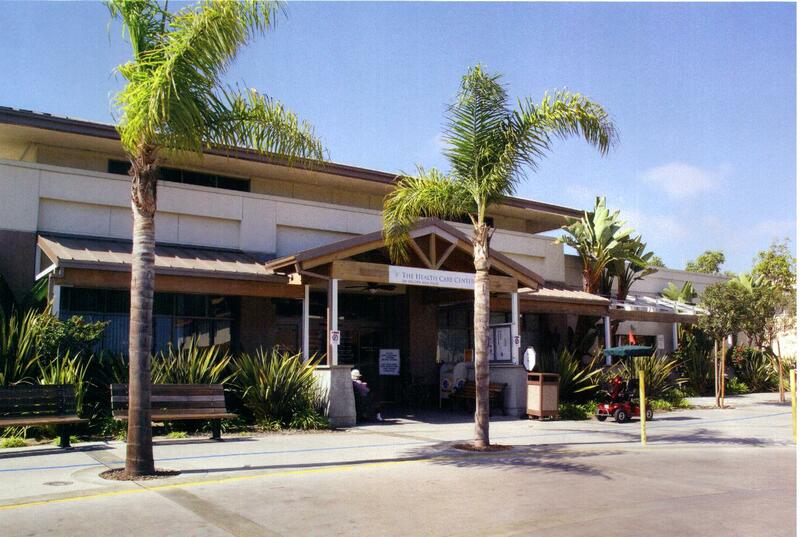 The primary care physicians at The Health Care Center utilize the facilities of Los Alamitos Medical Center, a community hospital recognized by The American Heart Association and American Stroke Association for its first-rate level of care. "We're really happy with the hospital," says Mary B. Sherman, M.D. "The physicians and nurses are very friendly and attentive. It makes for an easier transition when we must send our patients for further care." The Health Care Center provides hourly transportation to and from the hospital and diagnostic center, free of charge, to all Leisure World residents. While not every resident of Leisure World has selected a primary care physician from the stellar group operating within the center, there is still a myriad of wellness and medical assistance programs available to them. Each week, one of the center's physicians offers an hour-long seminar covering a wealth of topics, including diet and vitamins, understanding medications, dealing with arthritis and coping with stress. Special classes and support groups are also available, as well. Marie Puffpaff, a registered nurse and geriatric nurse practitioner, is a regular speaker for the center's wellness program who also facilitates the center's diabetes support group. "Our lectures and support groups are great opportunities for Leisure World residents to educate them­ selves on important issues and health topics, and provide a comfortable place for residents to meet with others who understand their situations and concerns," she says. Individuals who can't make it to the seminars may find copies of certain lectures on DVD in the community library, or find them on local cable television. The Golden Rain News,Leisure World's weekly publication, frequently features informative health­ related articles written by The Health Care Center's physicians. Annual events sponsored by the Health Care Center include a community-wide health fair that provides all Leisure World residents with screenings for cholesterol and foot issues, as well aslectures and consultations with specialists in pain management, arthritis and other pertinent medical fields. Conveniently held within the expansive ranch-style facility, the health fair invites all residents to explore the services and resources available to them through The Health Care Center on Golden Rain Road. Another annual event, the center's yearly flu clinic, is an epic undertaking by the center's doctors, nurses and a dedicated group of community volunteers. In 2007, the center administered an impressive 3,000 flu shots in just three days, with sponsorship from the Golden Age Foundation, which provides volunteers for the clinic and covers costs for individuals whose insurance providers wouldn't foot the bill. An on-site , full-service pharmacy located within the center features a gift shop and a small section featuring grocery staples, a convenience that's open to all residents of Leisure World. The physicians and medical professionals at The Health Care Center are passionate advocates for their patients' independence and well-being. "We do whatever we can to keep individuals living independently in their own homes," asserts Dr. Narain. "When that time has passed, we continue to offer care that will, whenever possible, keep them living comfortably at home. And when it becomes necessary, we act as advocates for our patients, respecting their wishes and assisting them in achieving peaceful and respectful endings to their lives. We facilitate open dialogues between our patients, their families and other medical care providers, to ensure that their wants and needs are met. This allows them to maintain dignity and control of every aspect of their lives; it's as important to us as it is to our patients."